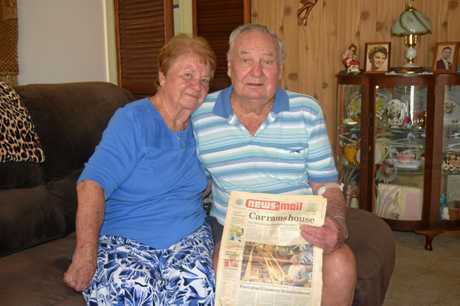 AN 85-year-old man left permanently disabled after being exposed to asbestos during his 38 years of working for Bundaberg Sugar is suing the company for more than $2 million, claiming the milling giant is behind his never-ending pain, suffering and reduced life expectancy. 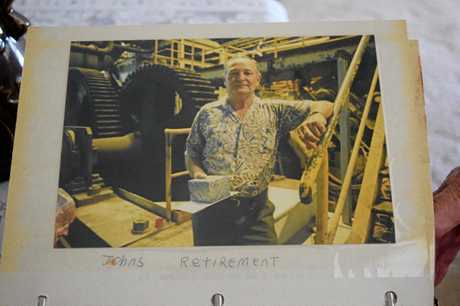 Between 1958 and 1996, Bundaberg resident John Hunt worked as a mill worker, fireman and engine driver at Bundaberg Sugar's Fairymead Mill. When he retired 22 years ago (in 1996), Mr Hunt was ready to settle down and reap the rewards after years of hard work and physical labour. But in the early 2000s, Mr Hunt was diagnosed with asbestosis and asbestos related pleural disease, which has caused him shortness of breath, impaired lung function and pain throughout his body. Wife of 59 years and Mr Hunt's full-time carer, Joan Hunt, 78, said her husband's quality of life had spiralled over the past decade. "He was coughing a lot when he first retired so I said 'you should go to the doctor'. We didn't know what it was, that's when they said he only had 50 per cent of his lungs left," she said. Mr Hunt was unable to speak to the NewsMail yesterday, having just come back from a doctor's appointment. "Today's a really bad day for me, I'm not in a good way," he said before passing the phone to his wife. Mrs Hunt said her husband's condition was a terrible thing to watch unfold. "He's now only got 20 per cent of his lungs. He can't walk from one room to another room, it's very difficult for him," she said. "He has to sit down by the window throughout the night and put his head forward because his breath cuts off." Mrs Hunt explained her husband barely slept three hours a night because he "can't lie down much". 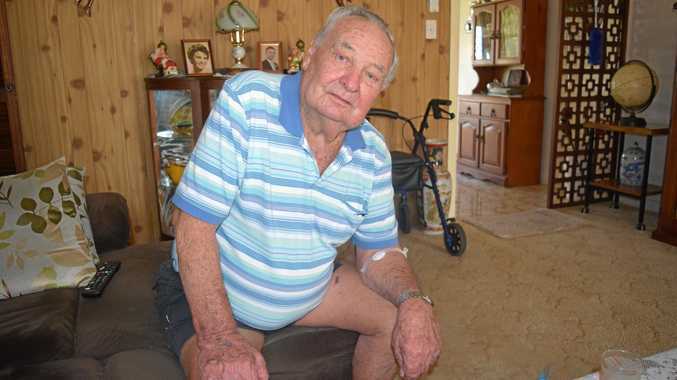 Now, the father of three, grandfather of nine and great-grandfather of seven children is claiming loss and damages of $2,011,580 from Bundaberg Sugar. In a claim lodged in the Supreme Court of Queensland last month, Mr Hunt's solicitor Jonathan Walsh alleged his client's former employer not only breached its duty of care in exposing him and other workers to asbestos products but also breached its contract of employment. "As a consequence of the plaintiff's (Mr Hunt) inhalation of asbestos dust and fibre during the course of his employment ... (he) has developed asbestos and ARPD ... for which the defendant (Bundaberg Sugar) is liable," the statement of claim alleged. "The cause ... was the defendant's (Bundaberg Sugar) negligence and breach of contract." Mrs Hunt said she "was going" with her husband when he first started working at Fairymead Mill. "He did two crushing seasons, then we got married two years later in 1960, when he went full time," she said. "He gradually got his tickets ... and started driving the engines, the turbines that ran the mill. He was out there for 38 years." It is alleged Mr Hunt "handled, mixed, applied, removed and otherwise worked with asbestos insulation, including ... raw loose asbestos products" throughout the four decades he worked for the company. "(He) worked in an environment that was contaminated with respirable asbestos dust and fibre..."
As a consequence, the claim alleged the asbestos particles were "released" into Mr Hunt's "breathing space and onto (his) hands, clothes, person and work environment". Asbestosis and asbestos related pleural disease are permanent, progressive diseases and have no cure, according to the Asbestos and Mesothelioma Association of Australia. According to the Asbestos and Mesothelioma Association of Australia, both diseases can take between 10 and 30 years to appear after initial exposure to asbestos, and typically result after sharp, microscopic asbestos fibres become lodged in a person's lungs, causing a build-up of scar tissue. Mrs Hunt said being her husband's full-time carer and watching what he was going through was "very hard and stressful". "He used to be very active. He could do anything, he built houses, boats, anything, he'd do it. He was that sort of man, so now, being like this, it worries him," she said. "He keeps saying to me 'I cant do anything anymore. The kids have invited us for Christmas, but he can't even go to their house now. "He's sick all the time and he can't do anything anymore. Everything is hard because he can't breath. His lungs fill up with fluid, all the fibres are in his lungs, and they get infected. He gets pneumonia a lot and coughs constantly." Being diagnosed with asbestosis is a significant risk factor for more serious asbestos-related diseases such as pleural mesothelioma and lung cancer as well, something the Hunts are now all-too-aware of. "He (Mr Hunt) knew he was working with asbestos, they all did (the workers). And they knew it was dangerous," Mrs Hunt told the NewsMail. 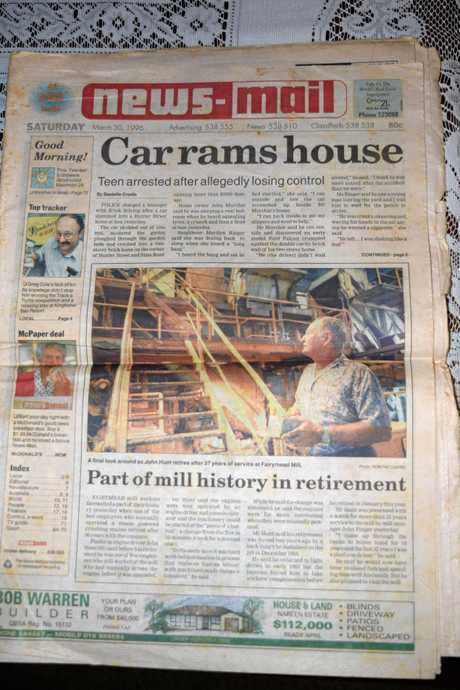 "When everyone was putting claims in, they pulled the Fairymead Mill down about 10 years, but most of them, the Fairymead workers, are gone now, they died. A lot of them got lung cancer." In the statement of claim, Mr Hunt's solicitor alleged Bundaberg Sugar has been negligent by failing to "provide a safe place of work ... and require the plaintiff (Mr Hunt) to wear protective equipment, including effective dust respirators" while working in asbestos-contaminated environments. He is suing for a total of $2,011,580, with the most significant damages being claimed stemming from past voluntary assistance ($1 million claim) and general damages ($400K claim). "The plaintiff has been left with permanent disability of the function of his person ... will suffer a reduced life expectancy ... (and) has endured and will continue to endure pain and suffering." the statement of claim alleged. Bundaberg Sugar yesterday refused to comment. Asbestos is a naturally occurring mineral industries mined and integrated into a wide variety of products until largely phasing it out in the 1980s. Working with asbestos produces dust in the form of extremely thin, sharp fibres the human body cannot dissolve.